Halt, Salute and...: A Final Plea for Votes! There's Dear Murray, an equine agony aunt who has 13,000 (yes the comma is in the right place!) followers on Facebook. He's fiendishly funny. I want to email him a photo of Filthy Flurry and ask him WHY? Bet he'll make me laugh! And he's cute too. Then there's Equestrian Discount, an Irish online retailer, with the very cute ED as their mascot. Look at him - he's just adorable! They have bargains. Loads of them. And a lovely website. Sigh. and then there was Keeping Up with the Kaimanawas. 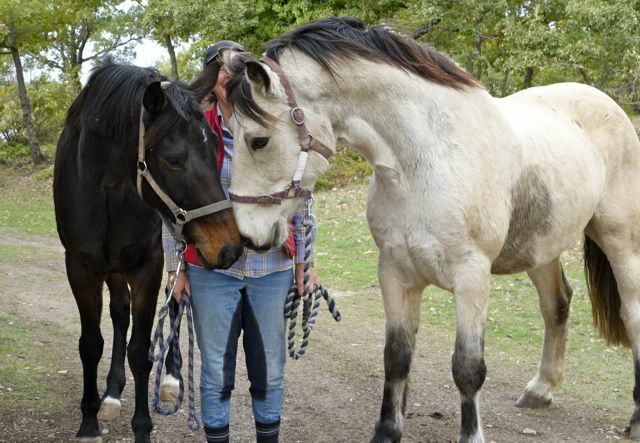 This is about three NZ showjumping sisters who adopted 11 horses from a cull of wild horses and set about training them. 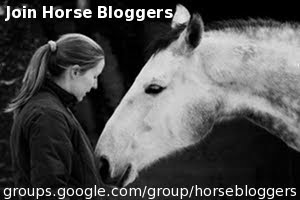 Their story was made into a TV documentary, and they continue to document the horses' progress via their website and Facebook page. Well, when my LSH heard that synopsis, he peered over my shoulder, looked at some of the photos on their site and said "WOW!" Yes. Wow. That's all one can say really. Gobsmacking stuff. Yeah. I have a nice little blog, and I'm very proud of it, but in this company, I haven't a hope! However, I am genuinely (really, I'm not saying this through gritted teeth, I swear), genuinely delighted to have been nominated. And now, I'm going to ask ONE LAST TIME! Can you please take a moment, if you haven't already done so, make your way over to the ESMA home page, make your way down to category 16 and vote for HaltSalute and? And on your way, have a look at some of the other nominees and vote for a few others - not in Category 16, I hasten to add, you're not allowed to look at them! Stay Loyal! Give me your votes, so I'm not utterly disgraced in the final reckoning! Friday is the last day for voting, so click on the link NOW before it's too late!